As Perpetual Travellers go, for good reason we tend to take an integrated approach to the work and life balance. Mixing business with pleasure is often necessary for the small to medium Company owner. Shopping around for the most cost effective corporate structure is always wise, especially considering the current global financial climate. Our research in Europe points to Malta as the best place to set up a Company and declare taxes, which we advise all Perpetual Travellers to do, as the days of NO TAX OFFSHORE have simply gone. A new stealth Tax of 350 euro just to have a Company each year. Increase from 15% to 20% for residents on the dividends. VAT increase from 15% to 17%. All of the above may rise again as austerity hits Cyprus, which will take Cyprus pretty much out of this market at least for new start ups. Both Cyprus and Malta as Island countries are warm with mild winters, friendly locals, Business and Tourism orientated, pleasant for family visits, feature a rich history and can be trusted in the main as they are fully fledged members of the EU. In recent times, Malta is respected generally as the best place to do business in Europe and considered by many as the 5th best place in the world (Forbes Tax Misery Index 2010). Even though the European Union has harmonized the corporate laws within its members states there are still major differences between the countries and how they have decided to implement the EU Directives according to local requirements. Maltese corporate law is in principle based on British corporate law flavoured with local adjustments and harmonized with EU Directives. A Malta ltd company is taxable in an EU member state and gives you all the benefits related to the common market and freedom of establishment. Malta offers by far the lowest tax regime within the EU and is a solid platform for anyone involved in international trading business. The corporate tax rate in Malta is 35%, but the shareholders qualify for a tax credit following a distribution of dividend by the Malta Ltd company. In most cases, the tax credit reduces the total tax suffered by 6/7 of the corporate tax rate. Shareholders may achieve a taxable net effect of down to only 5% where the 6/7 tax credit is applicable. If one wishes to distribute dividends from a Malta based company to a holding company in another EU/EEA state, it is possible do so tax-free, since the EU Parent-Subsidiary Directive will apply between any companies limited by shares within the EU/EEA. Maltese tax incentives leading to a substantial tax savings are available to any size of enterprise. Tax is obviously a very important matter for many people; however, in some cases Trust and Confidentiality are of a higher value. If you can combine the two you have a winning formula. 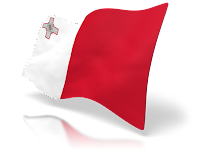 Regulatory framework in Malta provides for excellent opportunities to meet your offshore expectations onshore. Malta offers a very stable financial environment. Prudent policies shelter Malta’s insurers and banks from worst of any financial storm. High quality corporate service firms, low wage levels, skilled labour, Freeport and excellent flight connections put Malta on top of any ranking of the best business place in Europe.